I read this article and found it very interesting, thought it might be something for you. The article is called 30 Things to Do in California and is located at http://trip-n-travel.com/listicle/4825/. Every year, many people decide to have a vacation in the U.S. This country has many tourist attractions that no one would miss out. One of the states you can put on your list is California. As there are so many things to do and spots to go, you might be confused to decide. Thus, this is it, 30 things you can do in California. Enjoy! Many people look for perfect sunlight to sunbath. 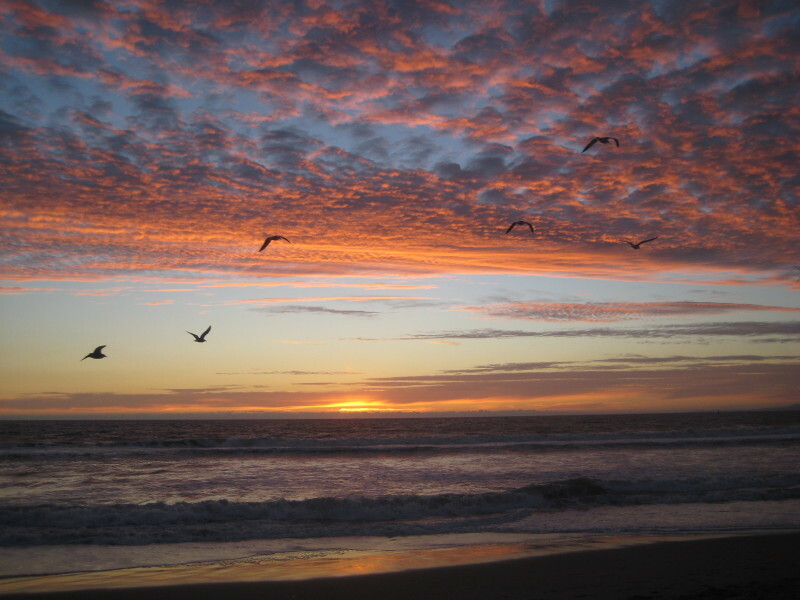 Venice Beach is one of the best spots in California that can provide you what you want. As it has the perfect sun, people also name it the Mecca of California. Once you step on the land, you will feel the eccentric atmosphere of this place because there are various kinds of people coming here, ranging from body builders, pamphleteers, and skateboarders. If you love spending the day by sitting and watching people go back and forth, just go here. There are restaurants and a famous bookstore for other activities in this place. Who doesn’t know Hollywood? It’s a very popular place on earth that everyone must have a dream to go there. If you spend your holiday in California, you must spend times to go to Hollywood and feel a unique atmosphere there. You can find the signature of your favorite artists in the Hollywood Walk of Fame. Walking for seconds, you can find Chinese Theatre for finding the film history. You can also find limitless premieres everyday. It’s like you could see your favorite actors in everytime it would. You’d be speechless to say words once you get there. There are many museums you can find in California. Enjoying to watch some world-class artworks is surely one of best things to do in California. 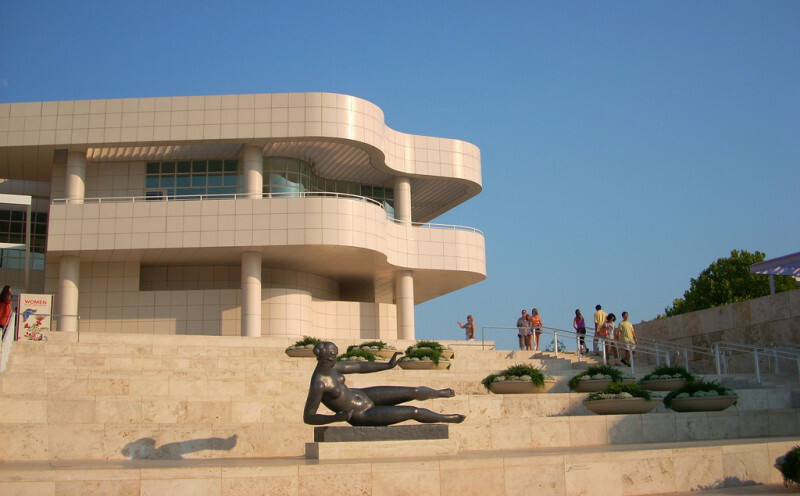 Besides Old World, The Getty Center is another alternative you can put on your list to be the next museum to visit. It is very rich with its collections of the historical artists of the centuries, including Rubens, Monet, Renoir, Van Gogh, and Cezanne. By going to this place, you’ll get more than the awesome artworks but also great California view from above. When you ask people where is the most famous place to shop, they must answer Rodeo Drive. However, perhaps you will get disappointed as the price of every stuff there is not affordable for you. But don’t worry, you can still do the window shopping. Let’s call it a classy window shopping time. If you really want to feel how it feels like to shop there, you can save your money for a great amount, then you can go there and shop in style. 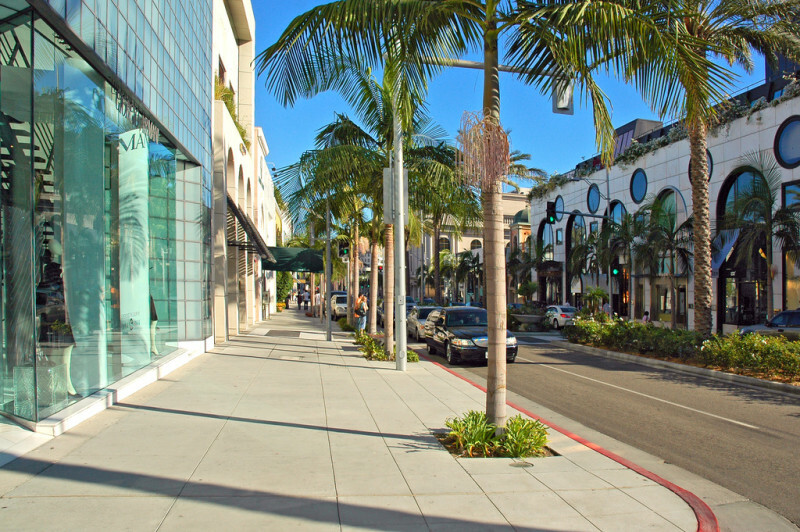 Strolling along Rodeo Drive for window shopping only is one of the favorite things to do in California. Forget the wallet-spending transportation, now you can turn yourself to healthier things to do in California. This place provides a walking tour for those craving for historical tours to heritage places. You can join the Los Angeles Conservancy walking tours to get more detailed and structured tours. You will not be alone as you will join a group of people who love walking tours as you do. This service enables you to see the mesmerizing places in California. If you think it would be boring, you should change your mind. 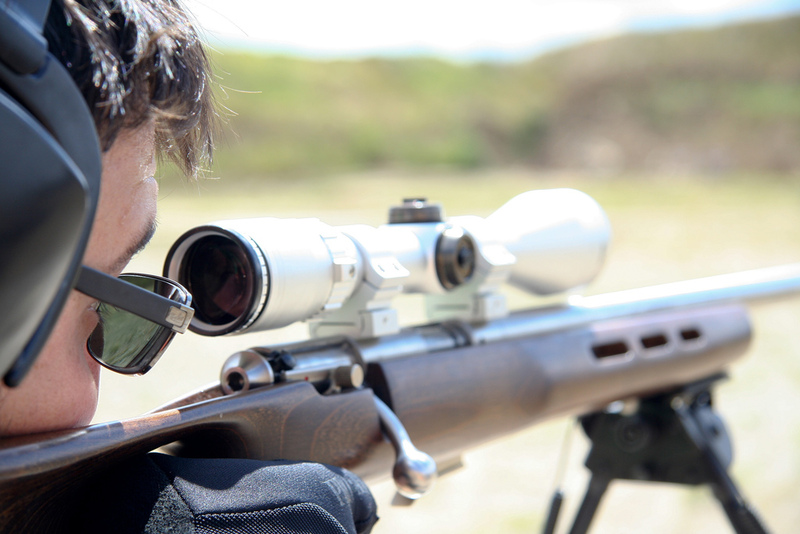 This activity is very popular among tourists so you should reserve yourself long before you take the tour. Do you still remember Jurassic Park movie? It was a very great one in that time. If you miss this movie a lot, there is a special place in California where it can take you away from the current life. The Museum Jurassic Technology should your next destination. You might get answers to your curiosity upon what is behind the secret flying bat in the movie. There you can see with your eyes how technology works so well to create an incredible movie. You will find yourself open your mouth in O letter shape because you will get amazed. If The Getty Center above provides you with classic popular artwork, now we will take you to a more modern place exhibiting modern artwork. Go to Los Angeles’ Museum areas, then choose Los Angeles County Museum of Art to get mesmerized by how outstanding what modern artists have done. Starting from the Grand Entrance, you will be welcomed by Chris Burden’s Urban Light. Walking from there, you can find other museums, like Craft & Folk Art Museum and Petersen Automotive Museum. Do you always get amazed when seeing the stars and thinking about to watch as if from the close distance? Make it come true by visiting Griffith Observatory. There is a giant telescope you can use to see the stars and act like a scientist. But if it’s not enough, you can go to Hall of the Eye and Hall of the Sky. These places could give you a display of connection between outer space and people. Another extra feature from this is the park. You can enjoy your time in the park while looking at the California view from a higher place. When you go to the U.S., particularly California, your holiday will not be complete if you don’t take the tie to this grand park. It’s the one where you can find so many cartoon characters coming alive and many attractions inside. 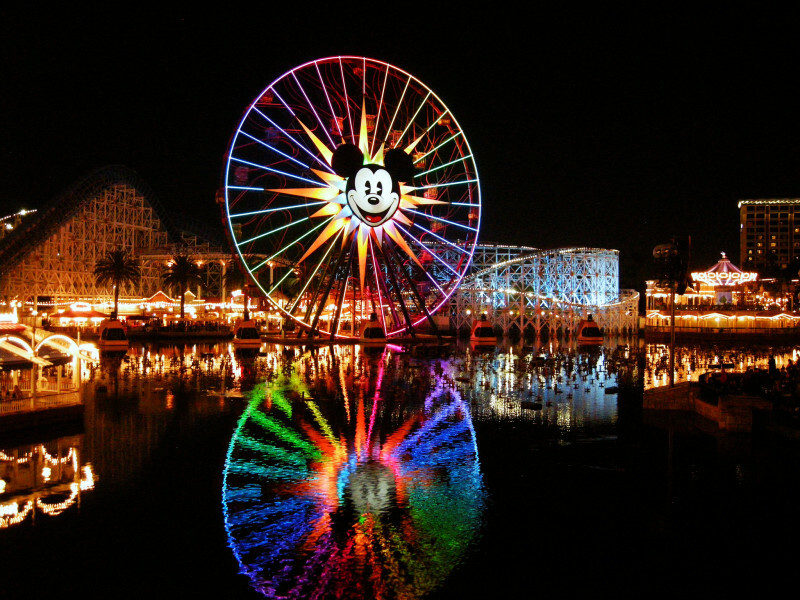 Yes, this is the one and only Disneyland. Never worry to go there as no one gets too old for this grand land. When you go inside, don’t think like you’re out of choices. There are so many things to do, including Space Mountain, Main Street USA, California Adventure, and Indiana Jones Adventure. Don’t worry, there are still lists of things you can do inside Disneyland to live up your imagination. Besides museums, you can almost get limitless numbers of music concerts in California. It’s sure to be in your things to do in California. Every month you can always find at least a concert. Come to the iconic Walt Disney Concert Hall to find many posters and information for the upcoming concerts. Many world-class musicians have ever tasted the platform stage of this place. You should never these wonderful concerts in your life while you are in California. Make sure you mark the calendar so you won’t miss one concert. Japanese has a long history with the U.S. If we go back in time when Japanese immigrants came to the land of U.S., it would be a sad story as it was a dark time for them. It was 1882 when they first came to the land but the thing didn’t happen as it seemed. Instead of being citizens of America, they were sent to camps in 1952. It was when the Second World War happened. 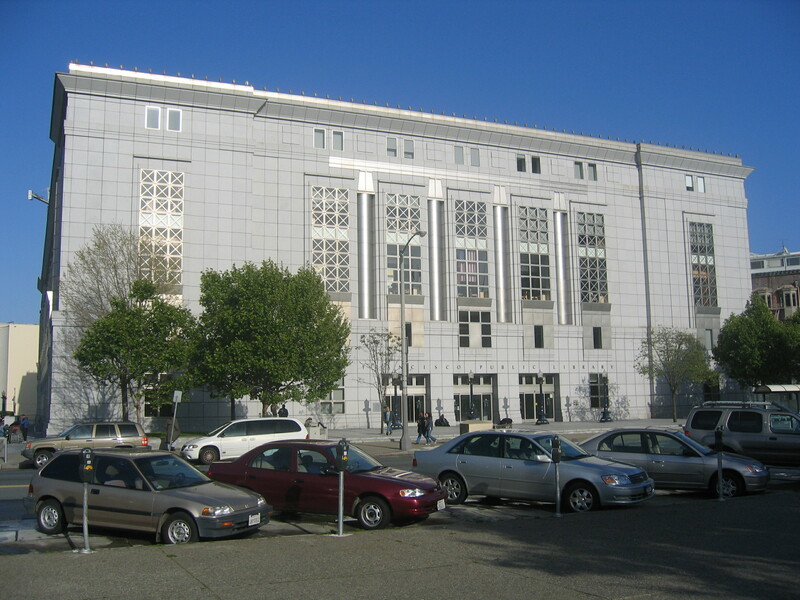 You can find complete stories of this bitter history and other exhibitions at the Japanese American National Museum. If Rodeo Drive makes you disappointed because you go home with empty hands, you should turn to The Grove. It’s a wide open-air shopping center located at the junction of Fairfax Avenue and 3rd Street. There are over 50 stores selling so many top brands with more affordable price. If you look for something fresh for your dinner, lunch, or breakfast, go to Original Farmers Market. The fresh stocks in this market will make you love this place. 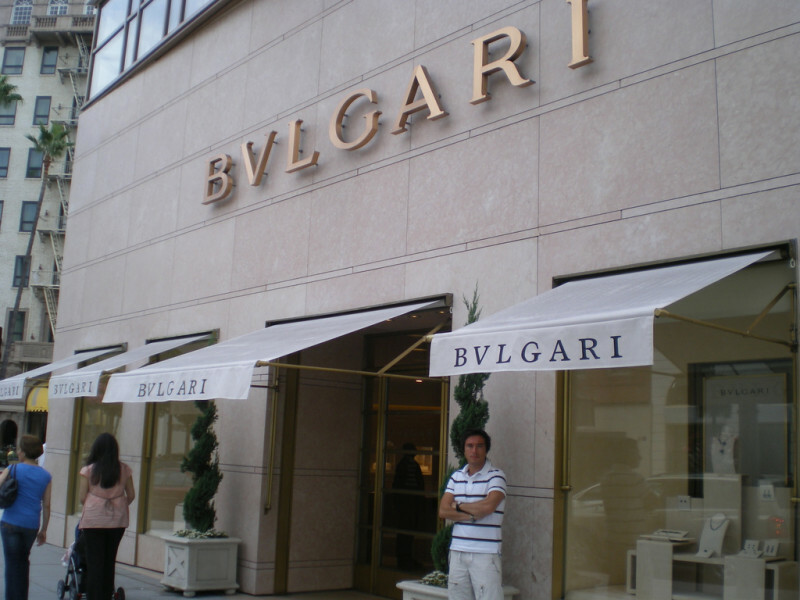 It’s a really perfect place for those love shopping but looking fairer price but the quality is as well as other places. You know you can always find so many drinking bars in California. Try the elegant atmosphere of drinking in The Bar Marmont located in West Hollywood. It has an exclusive design so you will also exclusive and special signature drinks in this place. The Edison in Downtown California is your alternative for getting the special burlesque show every week and live music from DJs every night. Be sure to dress up properly as you won’t get lost in social crowds with their best attire. Although the era now has changed in sharing system, where people have moved from the CD or cassette to digital medium, there are some people who don’t. They still love enjoying the music through classic way: right from the CDs or cassettes. Finding these old CDs is one of the things to do in California. And you should head to Amoeba. It’s the biggest store in the nation providing old CDs. The price is affordable. If you’re lost, ask the staffs as they do know everything inside the store. Sure, this is the only one in the U.S. that can help you track your favorite old songs in CDs. Everybody wants to go to the U.S. Everybody wants to see how Hollywood looks like. 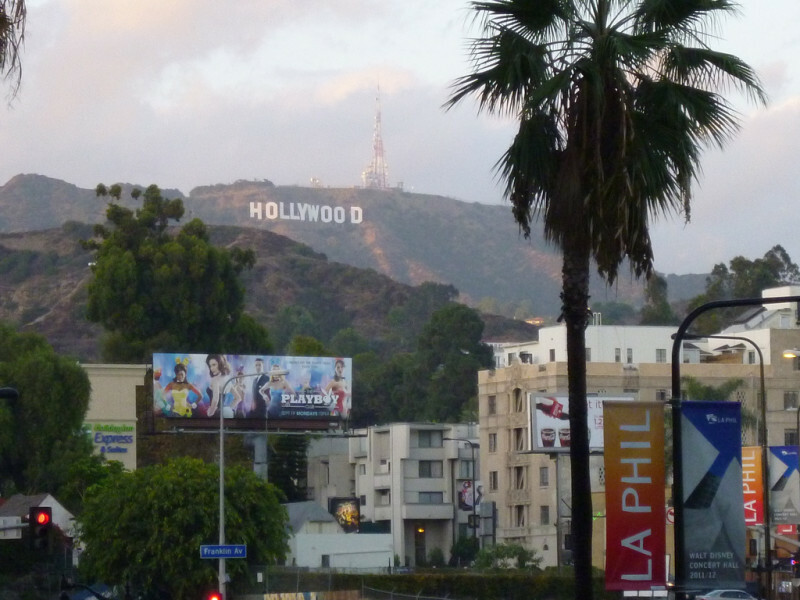 When you hear Hollywood, what lies in your mind might about its movies, its world-class tourist attractions, and its iconic letter up on a hill. If you try to have a different kind of Hollywood view, drive to Mulholland Drive. Up on this hill, you can enjoy the picturesque view of Hollywood from above. When you drive there, you need to be careful with the curves on the road. Once you step on the hill, you’ll run out of words. Live up your holiday by additional shows that can tickle your nerves. In California, there are recommended live comedy shows, such as the Upright Citizens Brigade Theatre and Asssscat. The second one is very popular for the improved show so you can see the spontaneous reaction of the casts. Go reserve yourself for an iconic stand-up comedy shows brought by Californian groups, including Improv, Comedy Store, and Laugh Factory. It’s a perfect choice for stressful days so you can feel more relaxed. California, particularly Los Angeles, knows really well what the youngsters need to pass the night with merry. This is its parties. Every night there are parties in different nightclubs with quality craft cocktails, wine, martinis, and its friends. If you look for a different nightclub, you can try one night at Avalon. It’s a club that provides techno renaissance live music in a European atmosphere. Another place is awesome as well with the art-punk and indie music and you can find it at The Smell. Yes. You’re not reading something wrong. Double-dipped sandwich. You can stuff like that in California. Philippe the Original, it’s a legendary restaurant that has served people with its special French double-dipped sandwich since 1908. This sandwich filling is pretty simple: turkey or lamb. You can choose one of them. Then, you can ask to make this sandwich dipped twice in special meaty juice. The last step is to attack the sandwich with homemade mustard. It’s so juicy that you can feel it inside your mouth till you don’t realize the juicy sauce melting out through your mouth. If you plan your holiday in California, you should one special entire day to go to a natural attraction. California can really serve you with such place. If you really love culture and art, you will be very glad to choose between Huntington Library, Art Collections and Botanical Gardens. It’s one huge place that has multiple functions. You can enjoy artwork collections, library, and gardens. It’s one real perfect heaven on earth for those craving for peaceful venues. You do need one full day to explore these places. Perhaps one day is not enough. So, set another day. Some people look for one stop tourist attractions. It means they look for one very big place that includes some tourist venues. In California, Balboa Park fulfills this requirement. There are some gardens and 14 museums inside. It’s a perfect family recreation place! 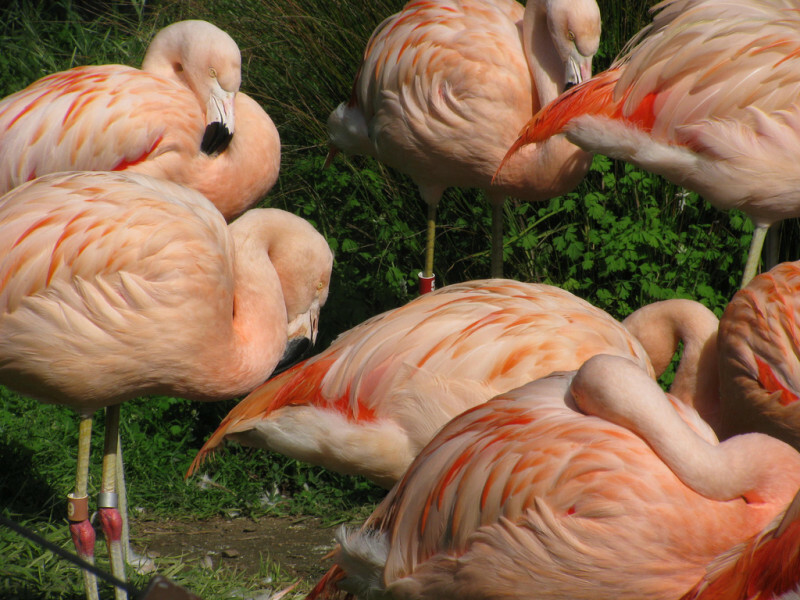 You can also accompany your children to its zoo, the San Diego Zoo. They will also love the aviation hangar and other scientific venues. These places will make them feel like explorers. Get the passport ticket for easier access in one-day admission as well as one-week entrance (free for toddlers, $49 for 3-11 aged children, and $85 for 12-year-old ones). California is a heaven not only for adults but also for younger ones. Children need best places to spend their best holiday. They need places that can make them move, move, and move as they are very active. Take your children to the New Children’s Museum. Besides getting new knowledge, there are climbing wall and art studio. Your children will directly choose the climbing wall. Don’t worry because all elements are designed considering safety for them. It’s free for toddlers, $10 for children aged 1 up to adults). As California is very large, now you can step to downtown California. There you can find one popular outdoor shopping center: Seaport Village. Take your children to get a spin on a classic carousel. It was carved by hands in 1895. So, you can see that the horses and other animals on the carousel are carved in details. It’s very affordable to get the ticket. You need to spend $2 only for one spin. There is always a free concert every Sunday afternoons located in East Plaza gazebo. Most children love Sesame Street. The funny characters can color your children. What if bringing them to one special place where they can meet their favorite Sesame Street characters? It’d be a great idea. It’s Bay of Play located inside SeaWorld San Diego area. If at Seaport Village you can take your children for a spin or two on a carousel, in Bay of Play you can take your children for a spin on Elmo. This is the Elmo’s Flying Fish with a free ticket for toddlers, $89 for children 3-9, and $97 for above 10 years old. Located in Carlsbad, Legoland is another alternative for family time. The visitors really love spending their time on a boat of Royal Joust. Get more fun on Pirate Shores where you can get wet. For those having a driving license, try the Volvo Driving School to get a new license from Volvo. 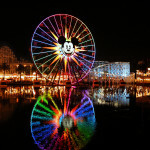 You can also spend a night or two in the Legoland resort, Legoland California Resort. It costs $0 for babies, $70 for children 3-12, and $80 for those above 12. It would be your unforgettable holiday with family. Watching the sunset from the right place is one undeniable activity. Who could deny it? San Diego has some beaches that could be your alternatives. You know that seeing the sunset at the beach would be very special. Along the shore, you can find resorts and restaurants. It would be more special if you make a private barbecue party for your family while enjoying the perfect sun in San Diego. You can also try the cuisines of San Diego restaurants on the beach. This is really fine to spend some dollars even up to hundred dollars in one night at least you do it rarely. Take your children to eat outdoors in California. There are so many family dining places you can choose. For example in Station Tavern, there are special menus that can make you really feel the American atmosphere. Get the burgers and beers for parents and juices for children. There are still much other classy to affordable restaurants in California that can spoil your tummy. This activity can make your family bonding be stronger and closer. There are so many sports matches available in California. You can take your children to football, rugby, baseball, basketball, and other matches in this state. You need to check out the schedules on each sports website. There will always be matches in every month. Feel the crowds yelling creative jingles for their favorite teams and watch the spirit in the stadium while you see the historical matches. The match could be held on weekdays or weekends. Once you know what match on the weekends, go reserve the tickets. Swimming pools are all over the world. So, what’s different? In San Diego, you can find a toddler swimming pool. As the name says, this pool is designed safely for toddler, complete with the slide. It’s precisely located at the Hilton San Diego Bayfront. For more information, you can check its official website on hiltonsandiegobayfront.com. So, now you should not worry any longer to take your babies for swimming as there is a toddler swimming pool. If in the previous list, you have heard about SeaWorld, this one is located near SeaWorld. It’s not exactly inside the SeaWorld, yet it’s the Catamaran Resort Hotel. This place is really strategic because it’s not only close to SeaWorld but also the beach. It would be a combo attack for a perfect weekend. After you spend the entire day at SeaWorld, you can taste the fresh seafood menus in restaurants along the beach. The sunlight in this place is also perfect so you should not miss anything. When you get done strolling in the city center, now it’s time for you to go to natural places where you can relax. In Southern California, there are many gardens you can visit. One of them is the Descanso Gardens. There are over 34,000 kinds of plants and more than 600 kinds of camellia. You can also bring your own drink to relax for a while in the available seating. Although these lists are plenty enough, actually there are more things to do and places to go in California. This big state offers you happiness from the indoor to outdoor places. Now, set your time and mark your calendar. You know where you should go. North America, State of California, U.S.A.